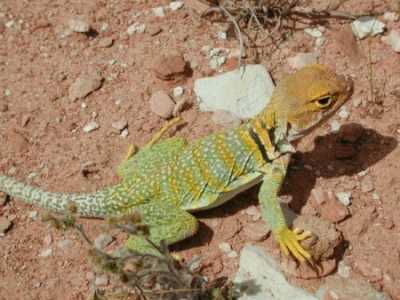 This male collared lizard was found north of the Dewey Bridge on the Colorado River in 2000 by Robert Schumacher of Germany. Photo used with permission. 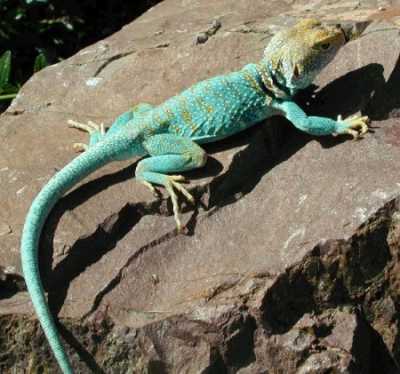 This brightly-colored female was found near Bluff by Casey Lazik, photo used with permission. 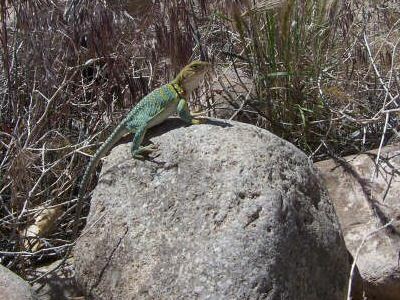 Mr. Lazik notes that collared lizards found here are in the intergrade zone between the Western Collared Lizard, Crotaphytus collaris baileyi, and the Yellow-Headed Collared Lizard, C. c. auriceps. 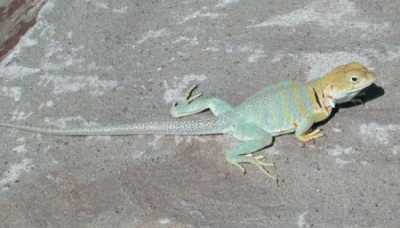 Here is a male auriceps x baileyi from Bluff, also courtesy of Casey Lazik, used with permission. Another beautiful male auriceps x baileyi from Bluff. Used with permission of Casey Lazik. 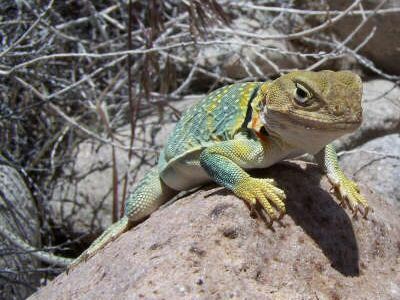 This is a Yellow-Headed (Crotaphytus collaris auriceps) female found by Casey Lazik near Green River. Photo used with permisison. 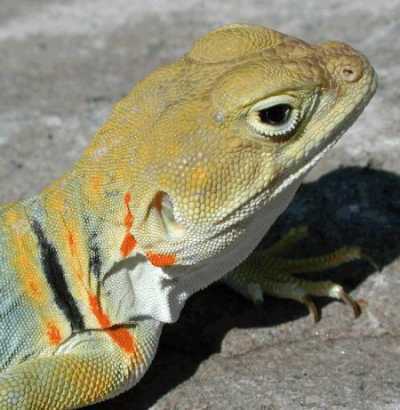 Close-up of the same lizard's head. Photo used with Casey Lazik's permission. 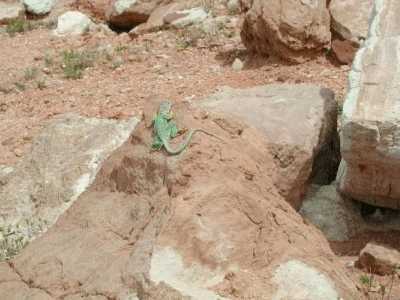 Here's a nice specimen from Ken's Lake (Moab area; on the west side of the La Sal Mountains). Photo by Chad Ramsey; used with permission. 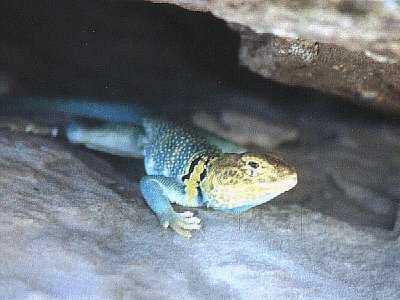 Close-up of the same lizard. Photo used with Chad Ramsey's permission.